Prominent & Leading Manufacturer from Nagpur, we offer industrial plant maintenance services and contract maintenance service. 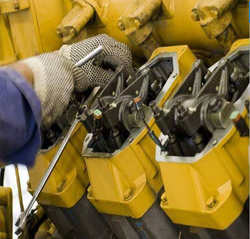 We are able to provide Plant Maintenance Service that helps in preventing downtime and protects the business. Breakdown maintenance is a less preferred choice as compared to preventive maintenance. We provide well planned and complete preventive factory developed high quality maintenance program for the client's water treatment plant. These services are rendered by a dedicated and well trained team of professionals. We are actively engaged in providing world class Contract Maintenance Service to our precious clients. These services are supported by our qualified engineers and other technical staffs, who have immense domain expertise and are able to work under the ever-changing demands of the industry. Our offered services are highly recognized in the market for their timely execution, professionalism, reliability, and cost-effectiveness. We render these services to our clients as per their needs and at the most affordable prices.